There is a common belief that the Japanese, as well as most other Asian groups in the United States, do not drink as much as their American and European counterparts and are therefore relatively immune to problems associated with alcohol. The existence of a strong family system reinforcing a moderate drinking style is cited as one factor behind the low rates of alcohol problems, and a physiological reaction to alcohol, known as the “Oriental flushing reflex,” is thought to be another important variable. 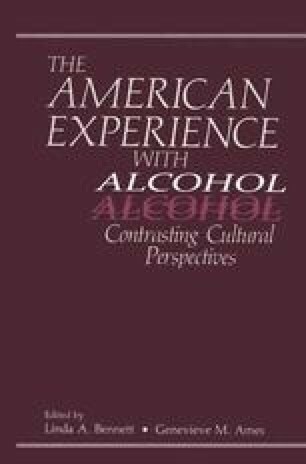 Research evidence to validate these and other impressions is scarce, but the observation that Japanese-Americans do not appear in any significant numbers at alcohol treatment programs or that there are so few visible Japanese drunks is often cited as supportive evidence.